Not So Cli-Shéa: Thrifty Thrusday! Like most twenty-somethings these days, I live on a bit of a budget. I have no shame in saying that I often times find myself perusing the shelves and racks of my local Ross, Marshalls, TJ Maxx or Home Goods store. It's an especially great way to find home decor, purses, accessories and best of all... SHOES! This holiday season, it is actually at these stores that I did most of my shopping. You would really be surprised the things you can find. I bought two beautiful Michael Kors handbags for my mother and I for the price of one! My mom and I have this thing where we usually go shopping for each others gifts together so that we know the other person will like what they're getting. 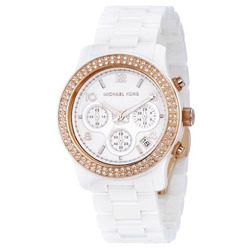 On a random trip to Ross I came across this gorgeous watch that I have seen for as much as $519! At Ross, my mom and I found it for $169! For Christmas, my parents surprised me and got me a new iPad 2! Such an unexpected surprise! I was scared to even touch it without having a case on it, and so, the search began. 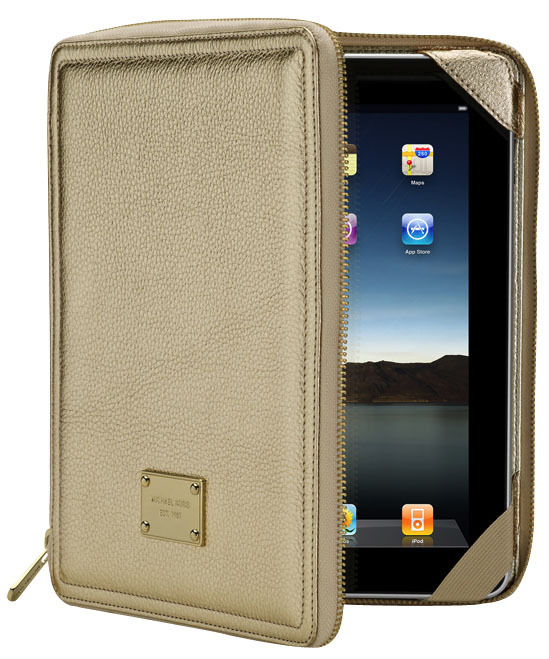 While looking around with Danica at our local Marshall's she came across this beautiful Michael Kors iPad case. 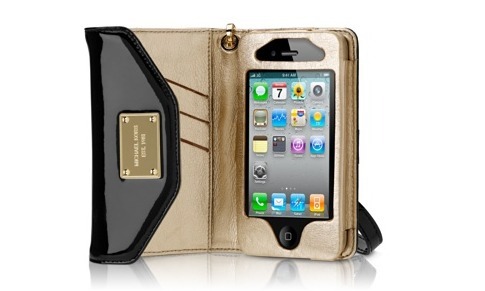 Last year for my birthday my mom got my this awesome Michael Kors iPhone case/wristlet. 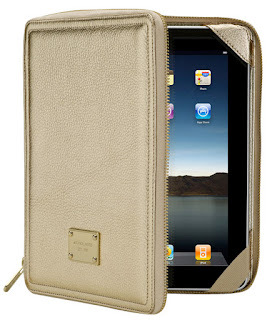 The iPad case was like the mommy sized version! I was instantly in love. The case was priced at $69.99 (which, by the way is cheaper than the iPhone case was, that my mom purchased directly from the apple store). I, of course, bought the case and went home and did the research. They sell the same case on michaelkors.com for $129.95. I got the case for almost HALF PRICE! Don't you just LOVE a good deal? I know I do, especially on designer duds!